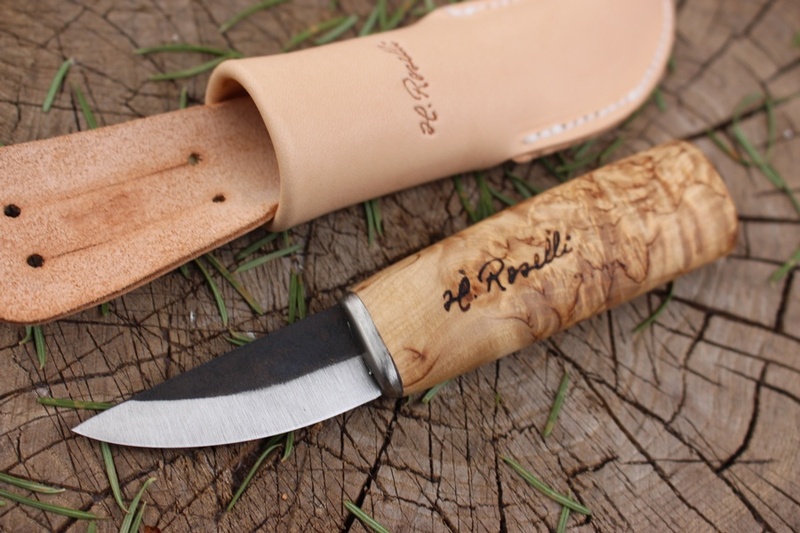 Super little knife from Roselli of Finland. Hand forged high carbon blade (58-60HRC) is scandi ground makes for a great little camp knife or companion in the woods. The blade is strong, cuts beautifully and is highly controllable, the curly birch handle (sourced from Finnish wood) is very comfortable. 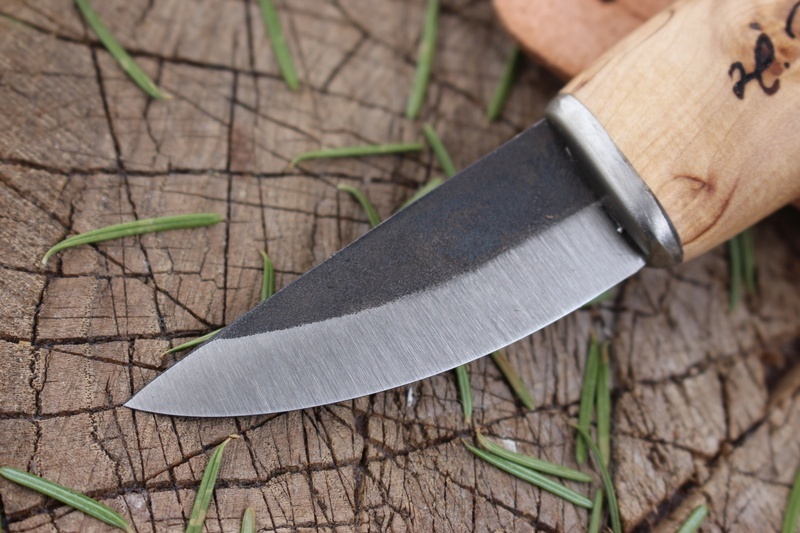 Made in the traditional scandinavian way, this is a quality compact knife. OAL 5 7/8th in, Blade 2 1/4in. 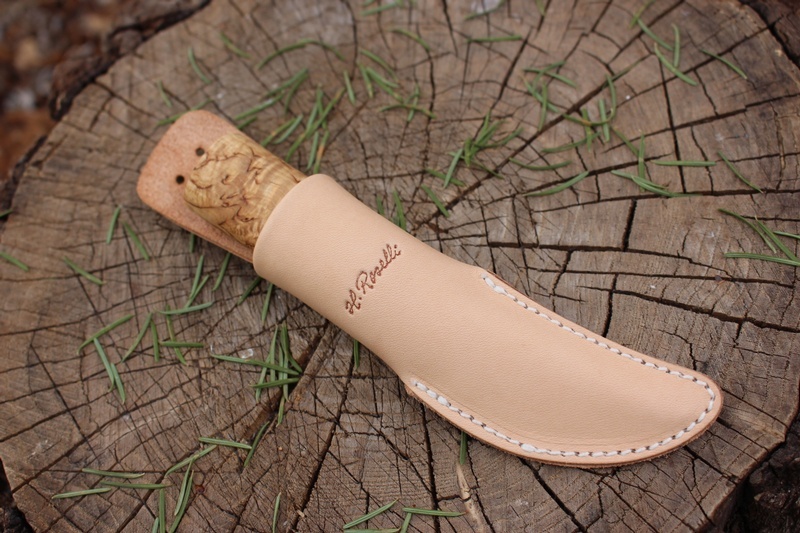 Handle Curly Birch, comes with leather sheath. Purchase through PayPal by using the "Add To Cart" button above or use the form below to order the Roselli Mini GM . Feel free to contact us if you have any questions about the Roselli Mini GM .